Adaptability has marked human evolution. Constant changes are the reality of the present and future generations. Technology, natural environment and human relationships will shape the future spaces. 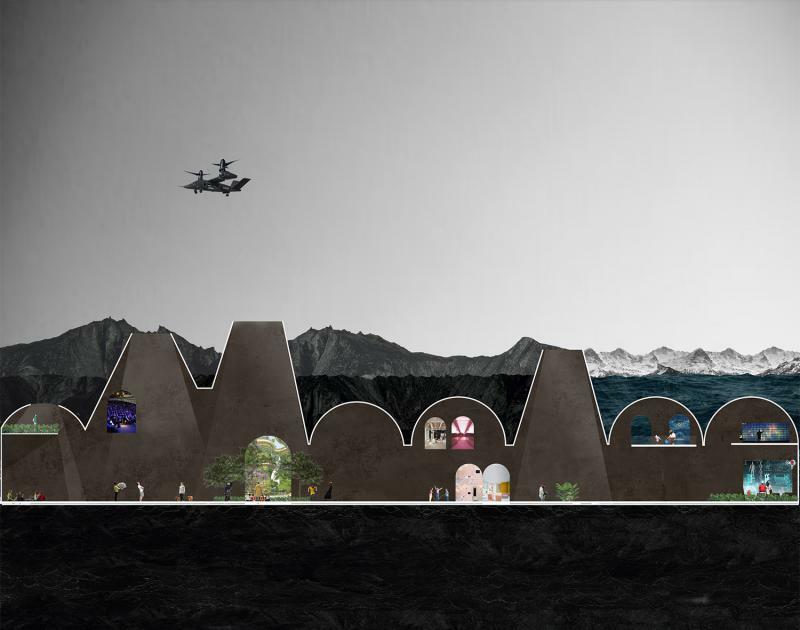 The return to endemic architecture, natural context and experimental construction will be possible solutions for harsh conditions and the planet’s decay. In the future, work, retail and education will be mixed in the same space. Pupils will be able to have practical contact and observation of daily life, hence they will be better prepared for setting off their careers. Likewise, physical and virtual/ technological spaces will tend to be more fluid, this will give the conditions for different disciplines to create synergy and holistic responses to situations. In addition, jobs will work on a different scheme where employees will be able to have a better balance between their work and personal life. In the other hand, both the physical and online retail will continue growing, the first one will transform into a different experience to attract customers. Buying goods will not consist on an economic exchange but also the warm personal interaction customers will encounter. Access to technology and information are a given in the future. Ecology and technology will have a more intense relationship and this will be reflected on every single space. In general time will be an important factor when it comes to space planning, connections will be easily achieved because of open flexible spaces and their direct connection to nature. The way we obtain resources will change, for instance, we will tend to create our own hydroponic plants, fruits and vegetables. People will have a special place in their home for agriculture related matters. Food in general will be produced in a more sustainable way.